Asylum seekers are expected to start paying bribes from the moment they get to the gate, says an NGO. 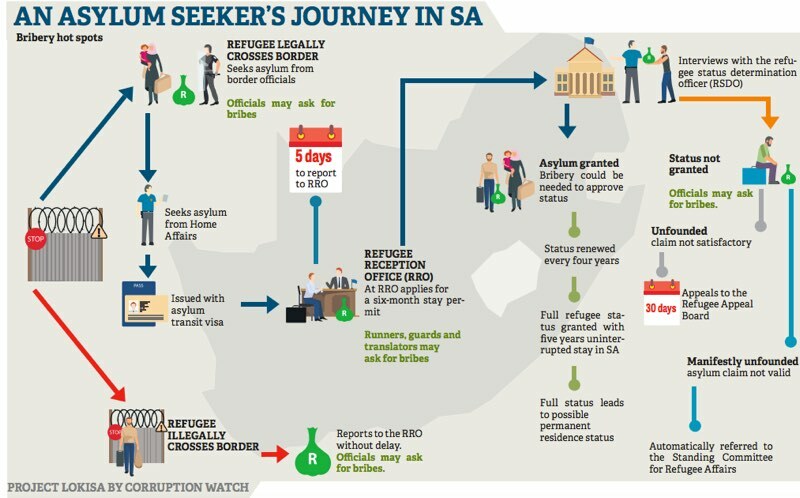 Corruption at the department of home affairs (DHA) relating to asylum seekers is now so widespread that only a resolute effort by multiple stakeholders can hope to curb it. This is the finding of Corruption Watch, which this week released a new report, Project Lokisa: Asylum at a Price, which claims that the department has failed to respond to any of the attempts made by Corruption Watch and its civil society partners to alert them to the reports of corruption received from foreign nationals. 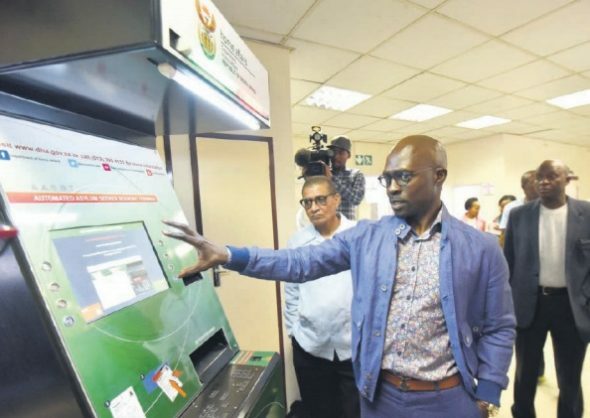 “[The department…] also rejected the recommendations contained in a memorandum proposing practical solutions to the problem,” said the not-for-profit organisation. As a result of investigations into allegations of extortion, threats and bribery by government officials, Corruption Watch last week opened criminal cases at the Johannesburg Central Police station against three individuals implicated at Marabastad Refugee Reception office. According to a 2015 UN High Commission for Refugees report, there are currently 3.2 million individuals awaiting decisions on asylum claims globally. And of these, South Africa has the highest number of pending asylum claims, with an astonishing 1 096 100 individuals waiting for their claims to be processed, the report said. “This points to the lack of efficiency at the DHA in processing such claims. Since 2012, Corruption Watch has received 314 complaints of corruption relating to applications for asylum or refugee status and other immigration-related processes,” the report said. The findings of the report show that 80% of these complaints involved refugee reception offices (RROs), which implicates home affairs officials, security guards, administrators and interpreters. “About 17% [of complaints] implicated metro police and other SA Police Service officials, and 74% involved bribes demanded for issuing asylum and refugee permits,” the report states. Corruption Watch wants to establish a reports handling mechanism to assist the DHA in gathering reports of corruption complaints. Of particular importance is a commitment by the DHA to pursue disciplinary proceedings against officials identified in the Project Lokisa sting operations. “Our simple request to the department of home affairs is that they work with us,” Lewis said.